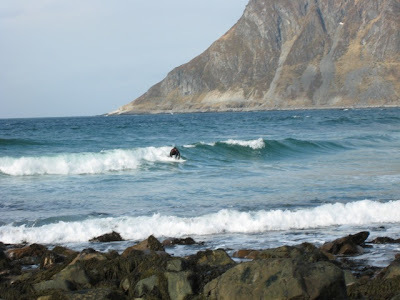 As promised, in the Camp Lofoten Story, I retuned to the most magical place in the world, for more surf, ski and hygge. 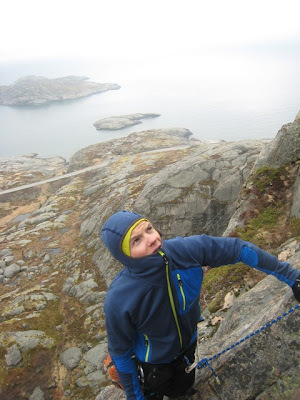 This time I even got to go climbing, and also do some swimming in the arctic ocean. 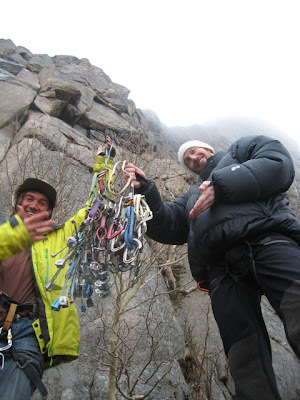 Spiderman posing with the guide Tor Fænrix and all the hooks and ropes and things, and the rest of the extreme climbing gear needed for a serious spiderman climbing expedition. Hooked up with the heroes of the interior: Tor Fænrix and Erik The Face Of Rohan for another magic Lofoten adventure. On dry land they both know what they are doing and how to use the hooks and stuff. 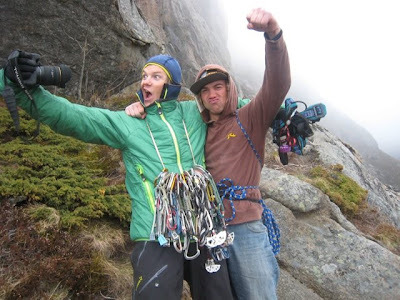 We geared up, I got into my spiderman costume and we hit the wall called Gandalf, right by Henningsvær where our superb host Håvard the stone fighter has built his crib. 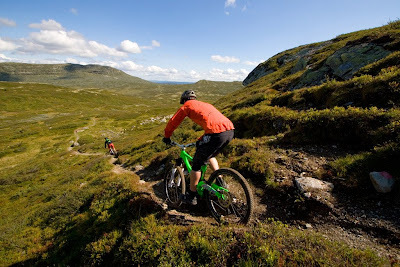 That is the good thing about lofoten. If there is no surf, go skiing, if no snow go fishing, if no fish go climbing and if you can't do any of that go drinking. 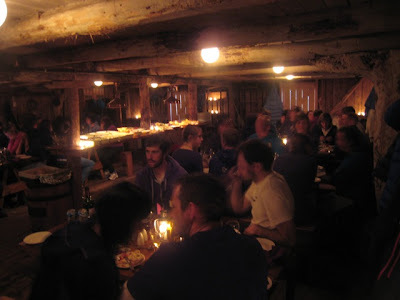 Hygge is important in Lofoten so good food and something attåt is a part of the game. When the whole Norrøna crew flew up for some days of magical archipelago times there was of course gourmet after work hours on snow or water. Full Norrøna crew enjoying the best sea food buffet at Damperiet in henningsvær. 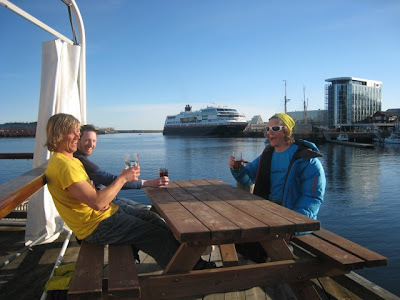 Drinks with the interior boys in front of the Hurtigruten calling at the port of Svolvær. 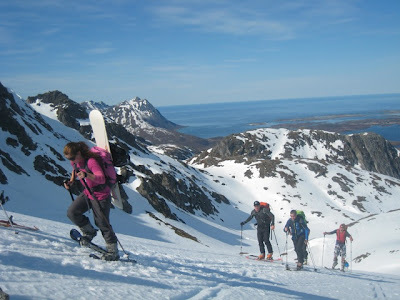 Ski touring with the worlds best view and binocular control of the swell. 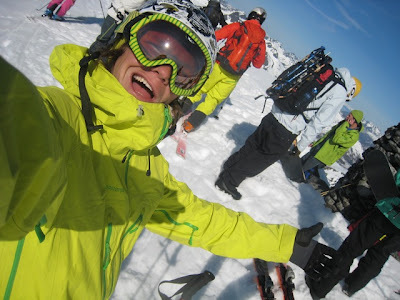 On mountain hygge. Sun, snow and another fish dinner waiting when we get down. Tor Fenrik getting a small ride at Unstad. 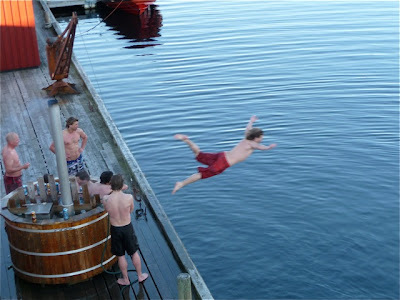 Hot tub, cold beers and freezing water in Henningsvær.